If you’re on a diet or just trying to eat healthier, get our Low-Fat Recipes to cut down on the fat in your food. 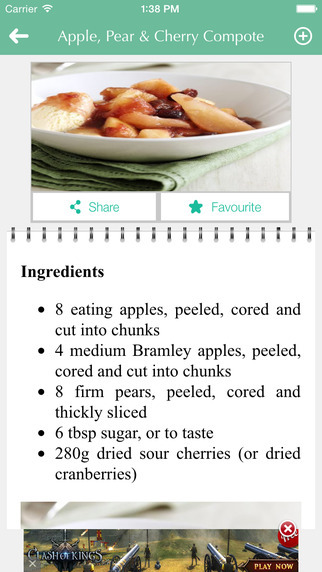 It features hundreds of healthy low fat recipes including low fat desserts, low fat main dishes, and more low fat meals. Each recipe includes a photo, an ingredient list, and detailed cooking directions. 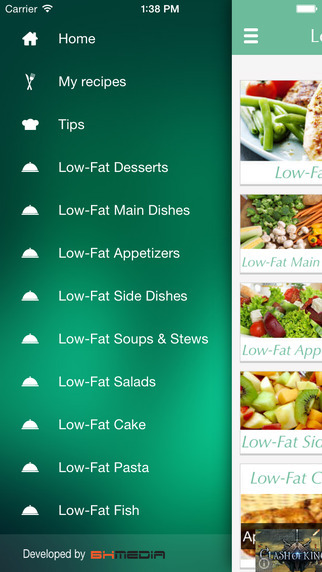 Low-Fat Recipes is an excellent app for anyone who wants to lose weight or improve health by eating less fat in their daily meals. - Get and share some useful tips for making healthy low-fat recipes.